This uncrowded gem in the Tennessee state park system offers hiking, camping, fishing and much more. 3 Campground Road Linden vic. 731 847-0841 tnstateparks.com/parks/mousetail-landing Click for Online Camping Reservations Open year-round Office hours 8 AM–4:30 PM From Lobelville From downtown Lobelville, head south on South Main Street/TN Hwy 13 for 3.6 miles and turn right (west) onto TN Hwy 438. Remain on TN 438 at all turns for 18.2 miles to the park entrance. This highway is not recommended for RVs or vehicles towing trailers; continue south on TN 13 to Linden and follow those directions instead. From Linden From downtown Linden, head west on West Main Street/US Hwy 412 for 11.1 miles. Turn right (north) onto TN Hwy 438 and drive 3.3 miles to the park entrance. 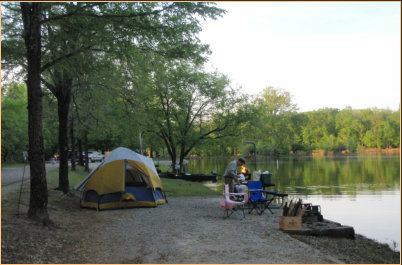 This quiet state park is popular with anglers, hikers, campers and day users who enjoy the park’s beautiful location along the Tennessee River extending from Lick Creek south to Spring Creek. This very diverse park includes open river, large estuaries from three creeks flowing into the Tennessee, rolling hills and a mixed hardwood forest. The land was originally part of a 5,000-acre tract belonging to German immigrant Charles Frederick Gotthart, a tanner by trade, who located an extensive tanyard here because of the numerous oak trees. A warehouse was constructed at the river to ship the goods to market. According to legend, during the Civil War period, the tannery caught fire, and because so many rats were seen fleeing the fire, the landing was given the moniker of “Rat Tail Landing.” Another nearby landing became known as Mousetail Landing, from which the park takes its name. Visitors can enjoy hiking on three trails ranging from the short and easy half-mile Spring Creek Trail to the rather strenuous 8-mile Eagle Point Trail Loop. There are also 13 miles of mountain bike trails of moderate to strenuous difficulty; these offer steep climbs and great downhills and provide some of the best mountain biking in the region. Fishing is one the park’s most popular pastimes. Bank fishing is pretty good and the park offers an accessible fishing pier at the mouth of Spring Creek. Spring crappie is a big draw from March through late May, while bluegill and sunfish are year-round staples. Catfish are commonly landed in late summer and fall, and bass, the most popular sport fish, are best caught in spring and fall. A fishing boat will offer even better opportunities, and the park has a free boat launch area on Spring Creek. 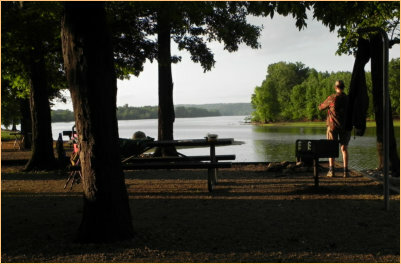 For those wanting to stay and enjoy all the area has to offer, the park provides two campgrounds. The main campground has 25 sites of which 19 feature water and electrical hookups; there is also a showerhouse and an RV dump station. The rustic Spring Creek Campground, located right on the river, has 21 primitive sites, many of which can accommodate small campers. The park also features a scout camp and a primitive group camp. Other activities include picnicking, an archery range, swimming at the park’s beach (no lifeguards), and wading in the cool waters of Spring Creek. Visit the park Visitor Center to learn about the wildlife and folk culture of the area and check out the adjacent aviary to view native birds of prey. This Perry County treasure has something for all! 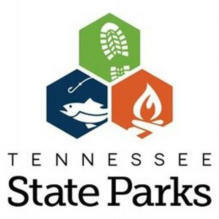 This quiet state park is popular with anglers, hikers, campers and day users who enjoy the park’s beautiful location along the Tennessee River extending from Lick Creek south to Spring Creek. This very diverse park includes open river, large estuaries from three creeks flowing into the Tennessee, rolling hills and a mixed hardwood forest. The land was originally part of a 5,000-acre tract belonging to German immigrant Charles Frederick Gotthart, a tanner by trade, who located an extensive tanyard here because of the numerous oak trees. A warehouse was constructed at the river to ship the goods to market. According to legend, during the Civil War period, the tannery caught fire, and because so many rats were seen fleeing the fire, the landing was given the moniker of “Rat Tail Landing.” Another nearby landing became known as Mousetail Landing, from which the park takes its name. Visitors can enjoy hiking on three trails ranging from the short and easy half-mile Spring Creek Trail to the rather strenuous 8- mile Eagle Point Trail Loop. There are also 13 miles of mountain bike trails of moderate to strenuous difficulty; these offer steep climbs and great downhills and provide some of the best mountain biking in the region. Fishing is one the park’s most popular pastimes. Bank fishing is pretty good and the park offers an accessible fishing pier at the mouth of Spring Creek. Spring crappie is a big draw from March through late May, while bluegill and sunfish are year- round staples. Catfish are commonly landed in late summer and fall, and bass, the most popular sport fish, are best caught in spring and fall. A fishing boat will offer even better opportunities, and the park has a free boat launch area on Spring Creek. For those wanting to stay and enjoy all the area has to offer, the park provides two campgrounds. The main campground has 25 sites of which 19 feature water and electrical hookups; there is also a showerhouse and an RV dump station. The rustic Spring Creek Campground, located right on the river, has 21 primitive sites, many of which can accommodate small campers. The park also features a scout camp and a primitive group camp. Other activities include picnicking, an archery range, swimming at the park’s beach (no lifeguards), and wading in the cool waters of Spring Creek. Visit the park Visitor Center to learn about the wildlife and folk culture of the area and check out the adjacent aviary to view native birds of prey. This Perry County treasure has something for all!